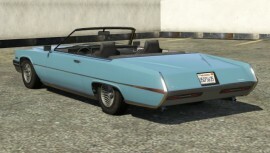 The Albany Manana is a type of Sports Classic Car in GTA 5. 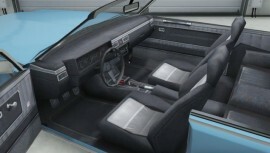 The front detailing resembles that of a 1975 Buick LeSabre, but the overall design is derived from a ’67 or ’68 Cadillac Eldorado. The front bumper is derived from neither of these cars, having a late ’70s look. The Albany Manana is available as both a hardtop and a convertible. 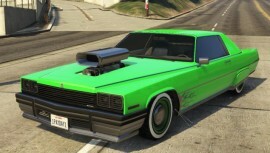 In GTA 5, Albany Manana has poor accelaration with average top speed. It’s also fairly heavy car, which makes its drivability unpleasant. Despite featuring a decent sized 4.0L V8, the vehicle feels very underpowered, possibly owing to its heavy weight. Acceleration is sluggish, and the vehicle has excessive body roll and bad weight distribution which may lead to fishtailing at high speeds. Crash deformation is the only solid point in this car’s handling, as the Albany Manana can take multiple hits to its body and engine without breaking down. Its performance is similar to that of its Declasse-manufactured competitor, the Voodoo, being a heavy but moderate acceleration. 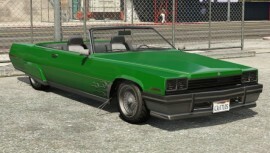 In GTA 5, there are unique modified Mananas belonging to the Los Santos Vagos, Families, and Ballas gangs. 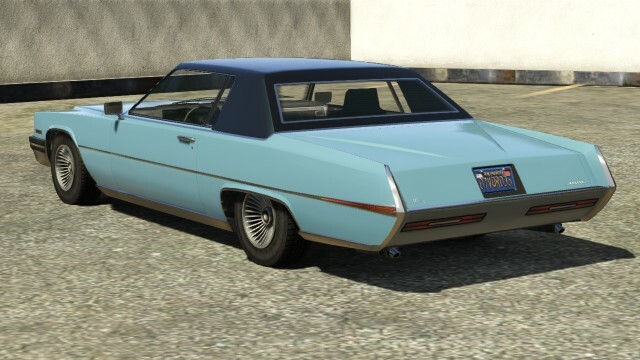 These gang variants feature a lower lip, headlight grilles, seven fives lowrider wheels, arch flames, painted and chrome fender skirts, curb feelers, dual shotgun exhaust, limo window tint, and competition suspension. Gang members will open fire on the player if he/she attempts to steal one of their cars. If Franklin steals a Families Manana, he will be ignored. There are unique non-gang modified variants that can be found in El Burro Heights at the bus junkyard on the corner of South Shambles Street and Hanger Way, most often at night. 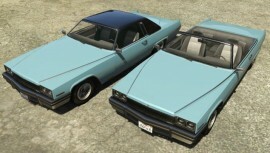 These share the same upgrades as the gang variants but unique paint. The non-gang modified variants feature spinnaker purple with a hot pink pearlescent paint, spinnaker purple secondary paint, and bronze wheels. 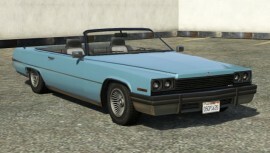 Similar unique non-gang modified variants of the Albany Buccaneer, Vapid Peyote, and Declasse Tornado can be found parked at the same bus junkyard as well as in front of Olson’s Autos on El Rancho Boulevard in Cypress Flats, most often during the day. 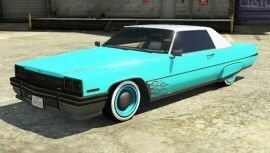 Spawns around the Families gang territory, as the Manana is one of their gang vehicles. 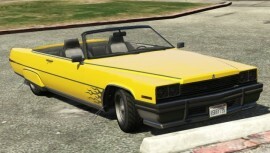 Yellow Mananas serve as a Vagos gang vehicle and can be found in Rancho. Often spawns on Grove Street. 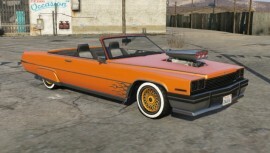 Customized with anything that can be done at Los Santos Customs, which is very useful if you don’t have enough money to customize a car. 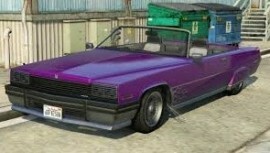 It spawns purple, but this can be changed at Los Santos Customs for $650. The car is owned by the Ballas. 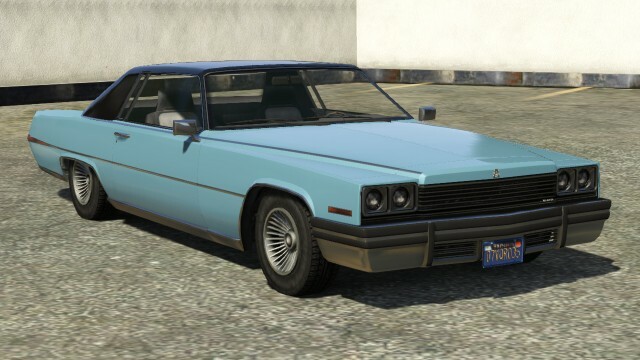 In Grand Theft Auto Online, Albany Manana sells for $800 in Los Santos Customs.